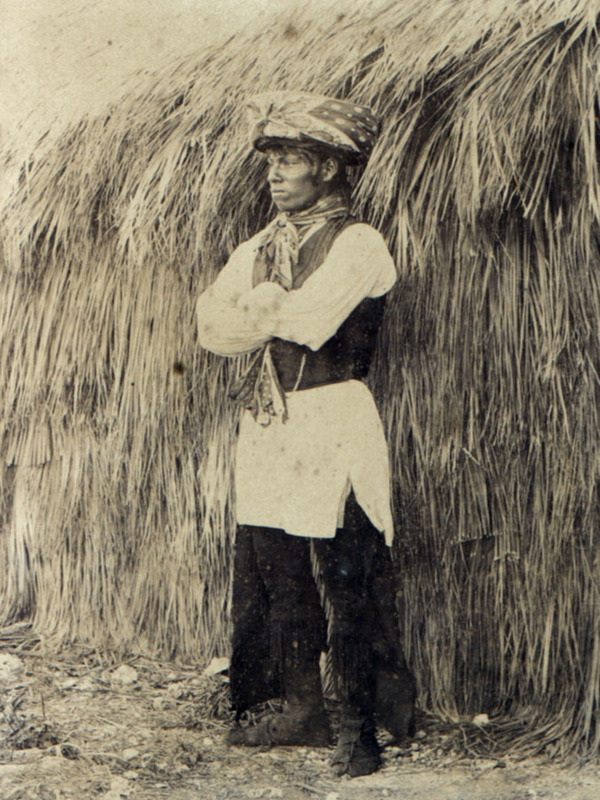 "In the following years many of the Indians were frequent and welcome visitors to my home in Coconut Grove. They were honest, industrious and admirable people, not a little abused by the first rush frontiersmen who entered Florida and drove them from their home with the aid of our army, which was called in to 'avenge' various fabricated or exaggerated 'Indian attacks.' The remnant in Florida today is descended from the few hundred which the Government could not subdue or surround in twenty years of warfare..."- The Commodores Story by Ralph M. Munroe and Vincent Gilpin. 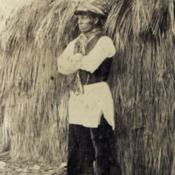 “Seminole Indians in "Pioneering Days" Standing portrait,” UM Libraries Digital Exhibits, accessed April 23, 2019, http://scholar.library.miami.edu/digital/items/show/328.